Okay ladies, if you’re reading this we’re sure it is your job to organise the all-important hen party? But sometimes whittling it down to the activities you and the girls will dive into during the weekend, it can be quite difficult. Which is why we’re here to give you that helping hand. 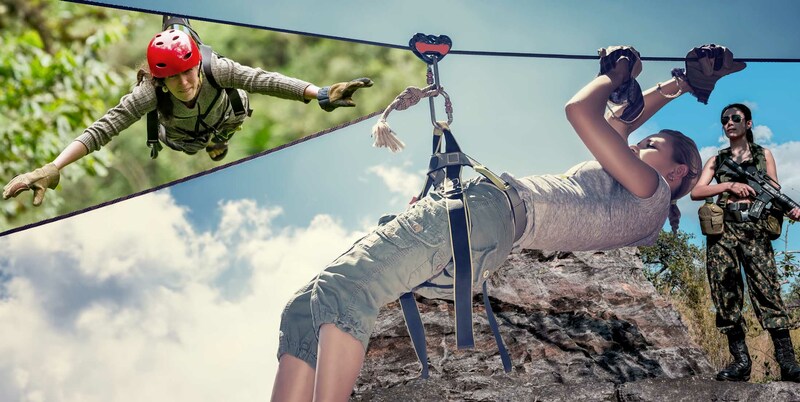 If your bride-to-be is an adrenaline junkie at heart and loves a good thrill, then these activities below will be perfect. If your hen loves to get her blood pumping, then look no more as the High Ropes hen party is the perfect way to let loose and really experience some adventure. It’s a way for you all to take yourselves out of your comfort zone by attempting to swing through the trees and challenge yourselves as you do so. And don’t forget to bring out your inner ape to really get into this activity. Bring out the adrenaline junkie within you and get ready for a fast pace opportunity like no other as you put to the test your driving skills. What better way to make sure the bride-to-be is enjoying herself than with this fast and furious styleGo Karting hen party! It will for sure be a race of a lifetime and a great way to create some memories. This activity is definitely one for the adventurous brides who want to think outside of the box for their weekend of celebrations. Especially if you fancy getting wrapped up inside a giant inflatable bubble, definitely great for the hen party stories afterwards. The Bubble Mayhem hen party is a great way to enjoy some of the classic games in a totally unique and hilarious way. These Off Road Buggies are the perfect hen party treat for your adventurous bride. The whole thrill as soon as you see the buggies is like no other. It is the perfect physical activity that will challenge all the girls, so make sure you listen to the pointers from the safety briefing beforehand! It is definitely an action packed day that the bride to be will love. Adventurous brides love this one, trust us. A Paintballing hen party is the perfect way to ensure that your bride-to-be has an all-round blood pumping, heart racing weekend full of fun and laughter. And let’s be honest, what can be better than getting rid of any wedding stress by pelting your nearest and dearest with paintballs, fun right? And ladies there is no such thing as being too prepared! We are now taking bookings for hen parties and packages in 2019 so don't leave it last minute! If you're still after some more ideas then check out the rest of our hen party activities to make sure the bride-to-be has a day to remember.